ARL Transport LLC has a rich history steeped in the transport industry, going back to 1978 when the company was founded by flatbed industry veteran, R.J. Faherty. Initially just a flatbed steel hauling company, ARL Transport LLC was soon transformed into one the largest intermodal drayage companies in the U.S. and Canada, with more than 42 terminal locations serving domestic rail and ocean ports. Through the years, R.J. and his son Ron K. Faherty diligently established a vast network of independently-owned terminals that would work in tandem to move loads locally in major cities, regionally, and coast-to-coast. That network, now known as the ARL Network, is comprised of five unique divisions. Outsourcing is one of the keys to ARL Transport LLC's success, diversity, and longevity in a continually changing industry. Being an Independent Agent-operated and Independent Business Entity (IBE) driven company, we search for the best strategic alliances that will offer value-added strategies and long-term growth to our customers. Matson Logistics is a leading provider of multimodal transportation, warehousing, and distribution services throughout North America. Known for our innovative solutions and financial strength and stability, Matson Logistics' people, processes and systems work together to deliver superior performance and value to our customers every day. Contact Matson Logistics for all of your logistics needs: •	Domestic rail intermodal service •	International rail intermodal service •	Long haul and regional highway truckload service •	LTL transportation •	Specialized hauling, flatbed and project work •	Dedicated and seasonal warehousing and distribution •	Transloading, cross-dock services, and value-added packaging services •	Network analysis and freight management services Matson Logistics serves a broad range of customers and industries with customized solutions and consistently superior customer service. ROAR Logistics is a global transportation service provider offering an extensive portfolio of rail, ocean, air, and highway services to aid our clients in the delivery of their products around the world. ROAR utilizes state-of-the-art technology to coordinate, manage and track shipments from point of origin to final destination. ROAR delivers best-in-class customer service and support with comprehensive operations in major markets throughout the world. We are EDI capable and can notify our customers quickly upon pick up and delivery. Our on-time delivery and safety records are remarkable and illustrate why Genesis Intermodal Delivery Inc. is regarded as one of the nation's finest Intermodal carriers. Genesis Intermodal Delivery Inc. can give your company a competitive advantage. Ensure that your freight is there on time, every time. At Norfolk Southern, our good name stands at the heart of who we are and who we have been for over 175 years. Our customers, stockholders, fellow employees and the communities we serve are important to us, and strong relationships with each of these stakeholders are vital to our continued success. CAI Group is Canadian based International Trade Services company with its head office located in Moncton, New Brunswick. Providing creative and effective solutions in freight logistics, compliance and trade data management. CAI Group provides expertise to companies involved in global trade. Our firm has expanded rapidly in recent years and provides a dedicated service to industrial development in Canada including mining, hydro, oil & gas, retail, manufacturing and other associated areas. CAI Group is proud of our team of professionals that provide a valued service to our clients. Our team maintains superior experience combined with a strategic approach to the logistics industry. Our compliment of diversified staff are on the leading edge of their disciplines with particular experience in confronting the challenges of complicated, service, cost and time sensitive shipments. CAI Group has worldwide quality standards for service in every aspect of our business. We have an impressive background in providing freight forwarding, customs brokerage, consulting, warehousing, air charters, and vessel charters. Our talented staff works as a team to assess complicated situations, manoeuvre through regulatory hurdles and implement solutions that meet both the letter of the law and the spirit of a client's business. Mode Transportation is a leading asset-light based, third-party logistics company focused on delivering truckload, less-than-truckload, intermodal, air and ocean services. We operate across North America through a network of highly qualified transportation professionals. We focus on maintaining our long-standing relationships with more than 22,000 carriers and drivers across North America. We also have access to more than 1,000,000 pieces of equipment. The result is a fully integrated transportation service network able to fill your unique shipping needs and capacity requirements. For nearly three decades, Hill Brothers Transportation has served customers across the country in an efficient, family-centered operation. We were founded by four brothers in 1986: Pete, Al, Pat and Jim Hill. Their goal was to provide the best service in the trucking industry through hard work, dedication and innovative truck driving technology. Today, we’re proud to offer dry van and refrigerated trucking service to our customers and offer long haul, regional and dedicated opportunities for our drivers. Plus, our dedication to safety has put us at the top of industry in DOT compliance and accident preventive programs. All together, our history, our freight volume, and our safety record combines with our unyielding dedication to customers to offer a superior choice for every transportation need. Cornerstone Systems is a leading nationwide provider of solutions for transportation and logistics, offering intermodal, railcar & railcar consolidation, truck brokerage, container drayage, on-site logistics, warehousing & transloading services and more. Now with offices located all over the country, and service coverage that spans all of North America. Bear Cartage was established in 1994 by Tom Urso with the help of his wife, Marie. Over the years, Bear has grown from a handful of employees and owner operators to a company with 28 employees and a large owner operator fleet. Bear Cartage is proud of the fact that the employees and owner operators feel at home with Bear and enjoy the family atmosphere. We are also proud of the fact that we have employees and owner operators who have been with the company since the doors opened in 1994. With the change in the economy, and a decline in available freight, asset and non-asset-based companies are competing for the same, limited business. Non-asset-based service providers are forced to work with asset based intermodal providers who are also competitors. Some of the restrictions and price constraints implemented by asset owners can make it difficult to do business. There is a market need for capacity and service for non-asset-based companies to remain competitive. 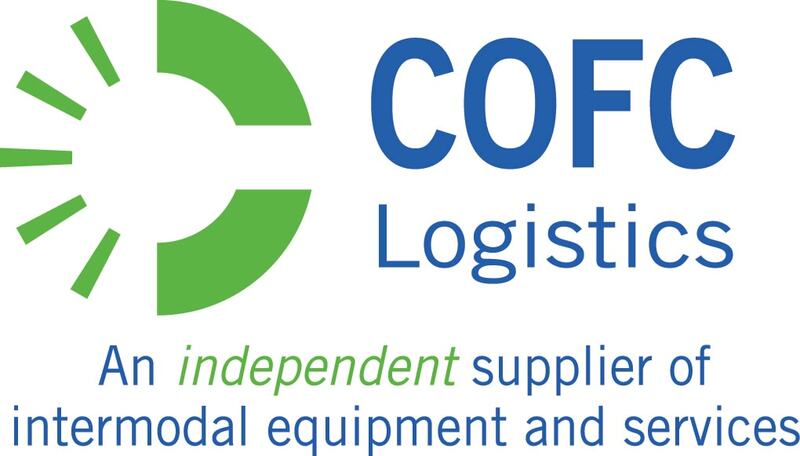 Founded in 2011, COFC Logistics, LLC fills this critical need in the industry as an independent supplier of intermodal equipment and service. The Company specializes in 53’ intermodal containers moving on the Class 1 Railways. Prohibited from working directly with beneficial cargo owners (BCOs), COFC serves intermodal marketing companies (IMCs), third party logistics providers (3PLs), brokers, freight forwarders, trucking companies and other intermediaries. Ready for a supplier that is in perfect alignment with your organization's business goals and equips you for success? At TTS we live and breathe logistics and supply chain management. Our reputation is more than a legacy; it's the product of cutting edge technology paired with unique solutions for individual client challenges. It's the reason our agents experience such robust growth in their enterprises. We've developed an agent-centric network that eats deadlines for breakfast and makes no excuses. Accountability for your business isn't a new idea, but with TTS you will experience it at a whole new level. oadrunner Intermodal Services has been a leader in solving logistics challenges since 1982. Our intermodal experience helps us offer our customers unique regional and national solutions that fit their needs. Our company’s philosophy is founded upon basic principles of a high standard of service to our customers, commitment to and from our employees, and an ethical approach to conducting business. Our mission is to provide the shipping community with a high quality drayage carrier that is national in scope, while offering value added services to enhance our customer’s logistics experience. Based in Conley, Georgia, outside of Atlanta, our corporate office is home to a dedicated and experienced group of professionals that provide support and direction for our field operations to carry out our Mission. REZ-1 is a leader in developing innovative solutions for the freight transportation marketplace. They provide container management, chassis management, and domestic reload. Houston-based Patriot Logistics, Inc. is a leading national intermodal transportation logistics drayage company specializing in the attainment goods and critical assets specific to a business solution requirement. From its beginnings as a local intermodal drayage entity, Patriot Logistics, Inc. has experienced substantial growth in the industry. We believe this growth is due to exceptional service offerings and the ability to service all markets, including Fortune 50 and Fortune 500 companies served through our network of Intermodal Marketing Companies (IMC's) and Agents. Our customers can always rely on Patriot Logistics, Inc. for safe pickup and delivery of all their critical assets. Asset Based International was started in 1993 to service customers on the 3PL side. We are a family owned and operated business. During that time, we saw the need for a reliable intermodal drayage company in the DFW region, we started small with only 5 power units and have grown every year since. We currently service a 5 state region out of the DFW area which include both Union Pacific ramps, the Kansas City Southern and the Burlington Northern Santa Fe ramp. We pride ourselves in maintaining a great on time service record with our customers. We do this by providing our drivers everything they need to perform at a high level. Total of $32,000 granted to these fine organizations!